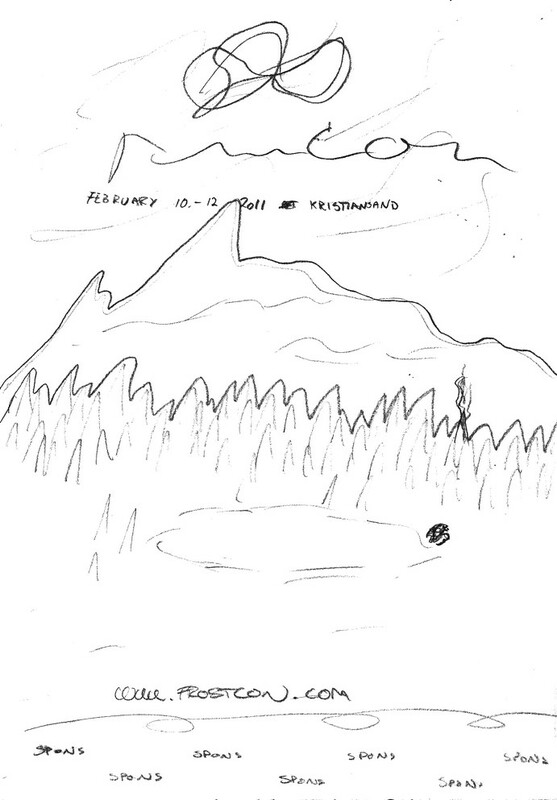 This is my 3rd semester exam submission from December 2010. The assignment was to make a poster, folded brochure (festival program) and the design manual for an imaginary festival. My idea is something I would really like to see happen for real. 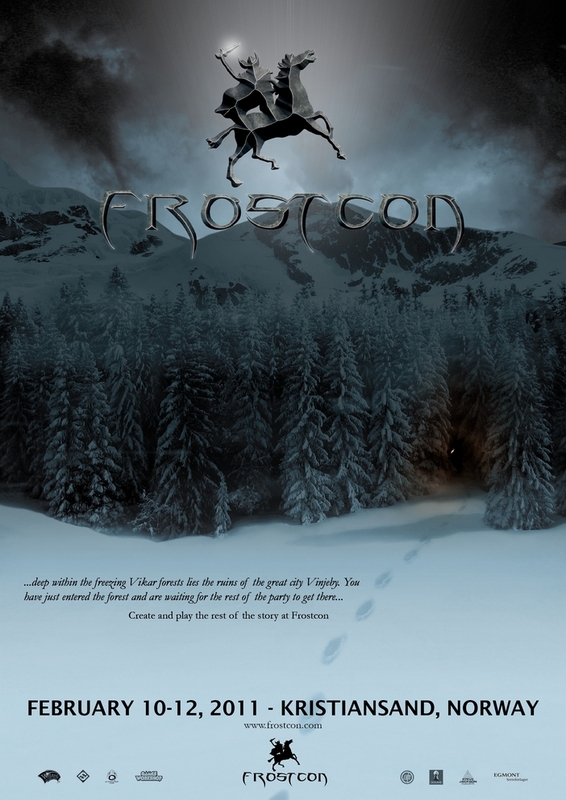 FrostCon is a roleplaying and fantasy festival with the main idea of telling, playing and experience different stories. Here is a small part of the rapport I wrote for this assignment as well as any references to content I have used in the assignment. 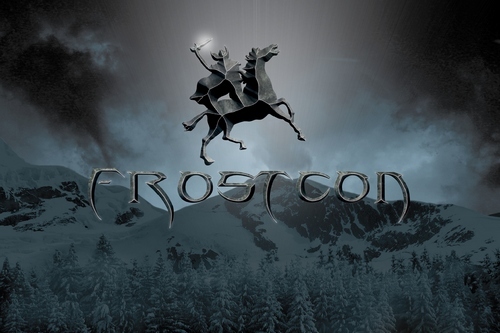 FrostCon is a festival, its main topic is pen and paper RPGs and tabletop board- and miniature- RPGs. The festival is also covering other related areas such as comics, anime and movies. A main idea behind the festival is to tell stories in one way or another, this is emphasized by having game- and film- developers and other professionals invited to the festival having contests, workshops and more. The target group of the festival is everyone that would find the main ideas behind the festival intriguing. My approach to the festival is to focus on the fundamentals behind, but also on location and season. The festival is to tell a story that the guests will be able to influence and play, the start of the story is the sentence on the poster. The date is set for mid-February when it is still quite dark and the likelihood of cold and snow is quite good, this can create an atmosphere that has been drawn into the concept, which is part of the story that can be played. Even the festival grounds is built up as a fantasy/Viking-village that will help building the foundation for the story. Anti-Spam Quiz: Would this festival be cold or warm?